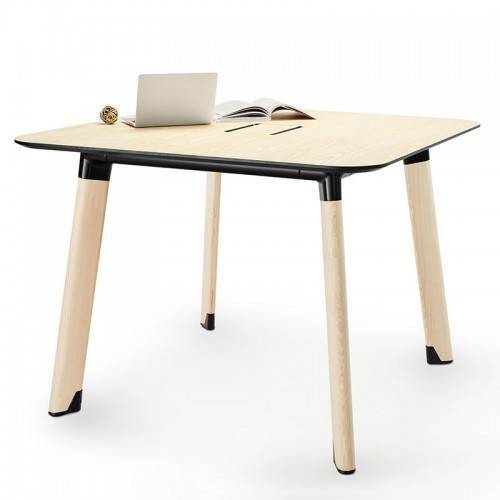 Diva Standing Table blends style and substance with ease, offering a range of finishes and configurations to suit any office space. 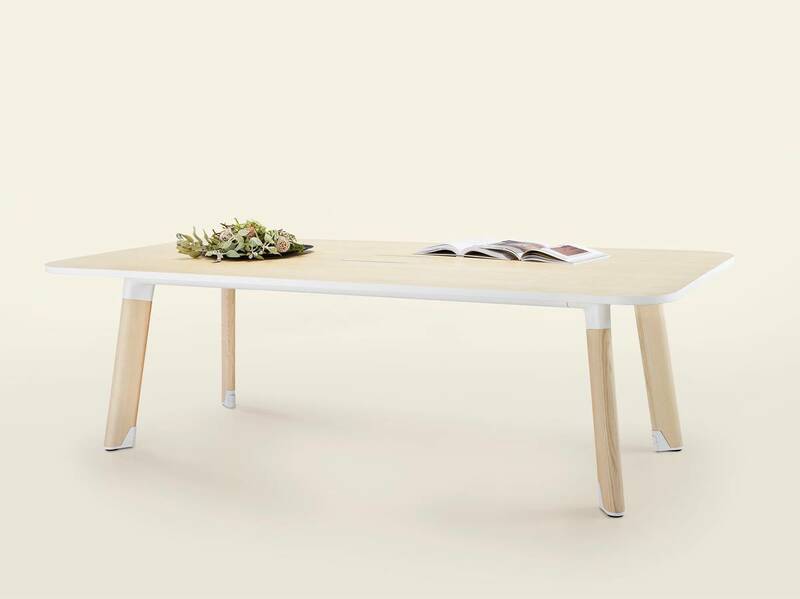 The Diva Table from Thinking Works is a solid wooden table with sleek and elegant aesthetics, combined with clever features and elements, designed by ThinkingWorks in collaboration with Jones and Partners. 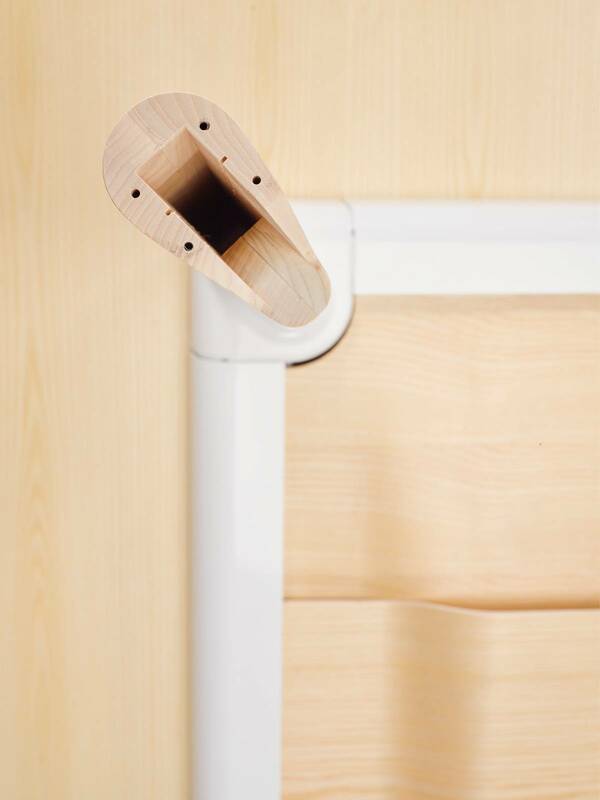 Go beyond the striking wooden exterior and discover a host of ingenious design elements, each cleverly concealed within the solid timber build and die cast aluminum features. Commanding attention yet yielding to workplace practicalities, Diva blends style and substance with ease. 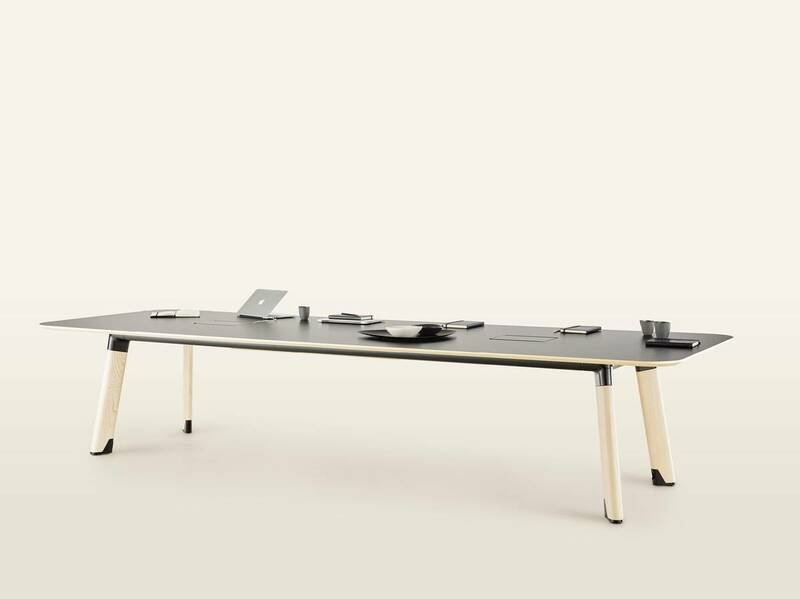 One of the visual features of Diva is the moulded plywood undercarriage, an extra design feature not seen on tables before. Whether it’s to hold cables in place, or when Diva is used on mezzanine floors or within buildings that feature glass wall atrium's, the Diva will look good to everyone and from all angles. 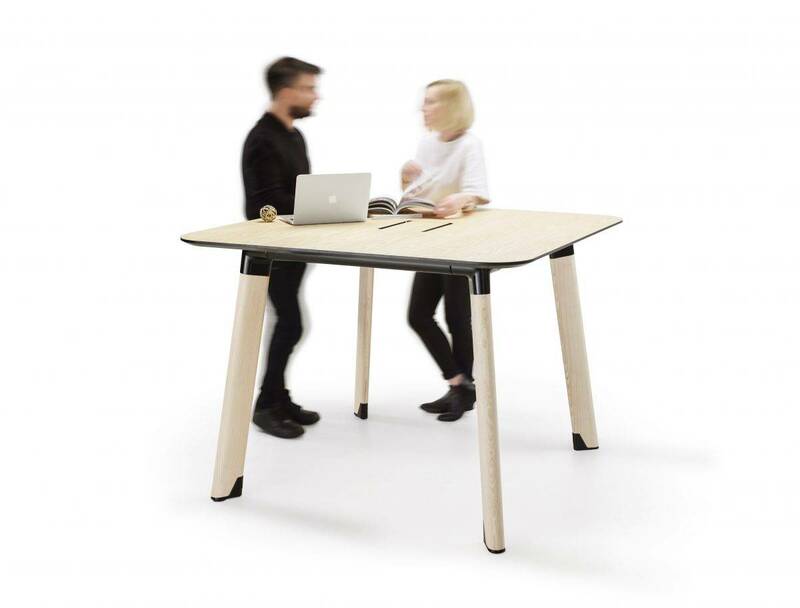 Diva is finished to the highest standard possible, a table system developed with consideration given to powered legs for floor access, a sensible way to manage wiring from the legs to the powerbox in the table top, and finishes that can be changed to follow new design trends. Part of the design brief was to maintain the ThinkingWorks DNA by using die cast aluminum components. 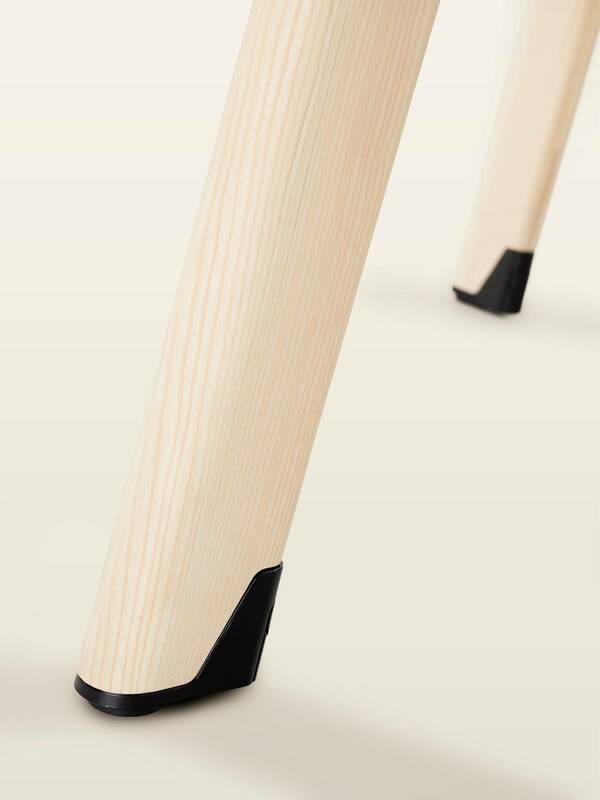 This was achieved with the “Leg to Rail Connectors”, and to provide highlight features such as the “high heels” of the legs which also house the power sockets. - Legs are finished American Ash as Standard. 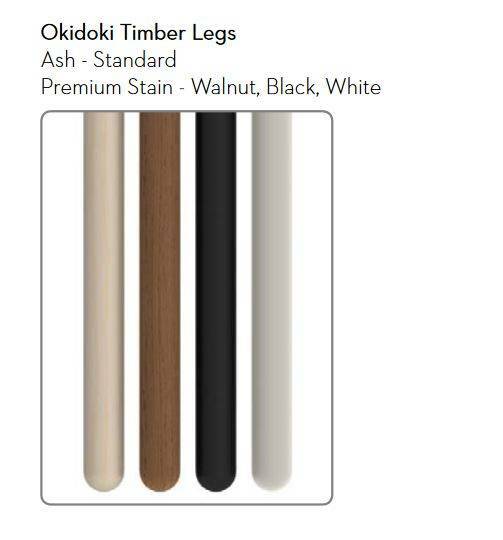 Premium Stain as additional option in colours - Black, Walnut, White. 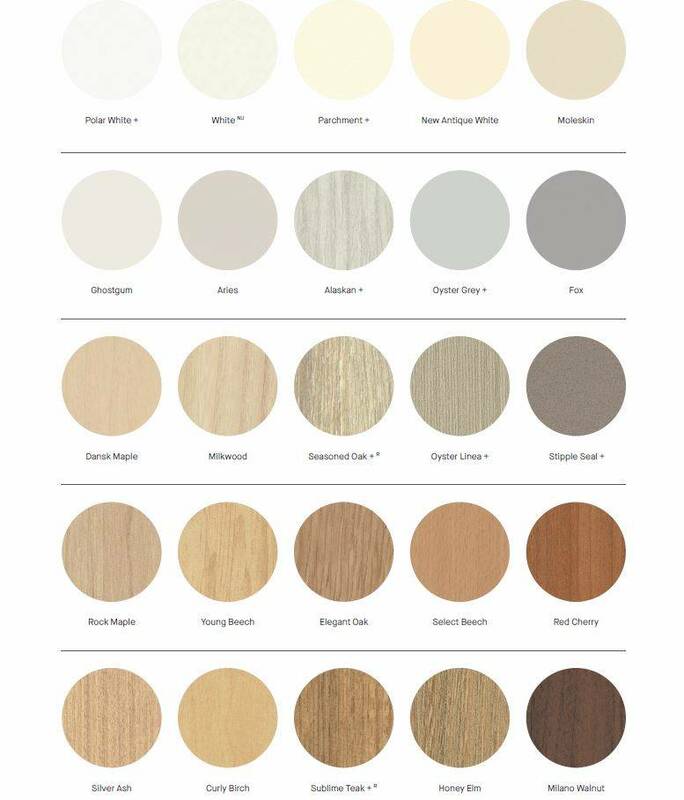 - With white or black powdercoated heel and framework as standard, premium powdercoate colours available as per above as an additional cost. - American Ash plywood undercarriage as standard finish. Premium Stain as additional option as per above. 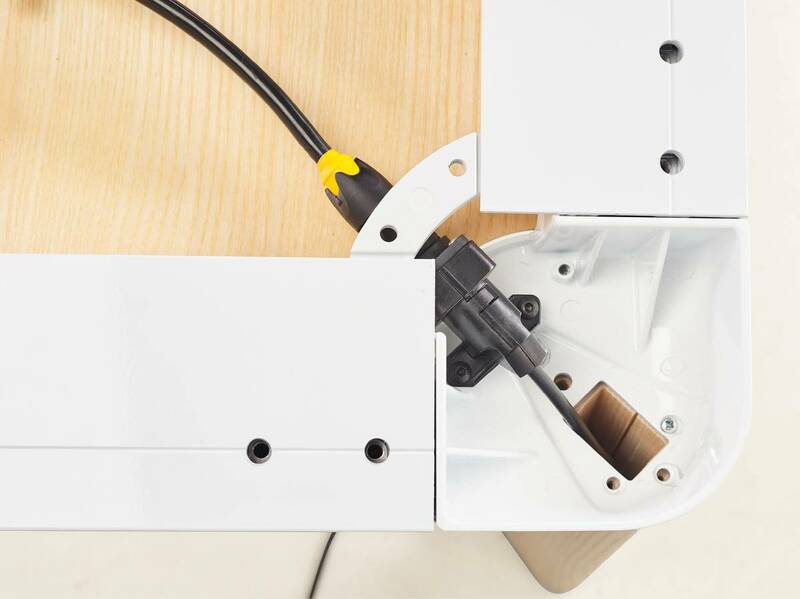 The Under-carriage to conceal any power leads and powerboxes. 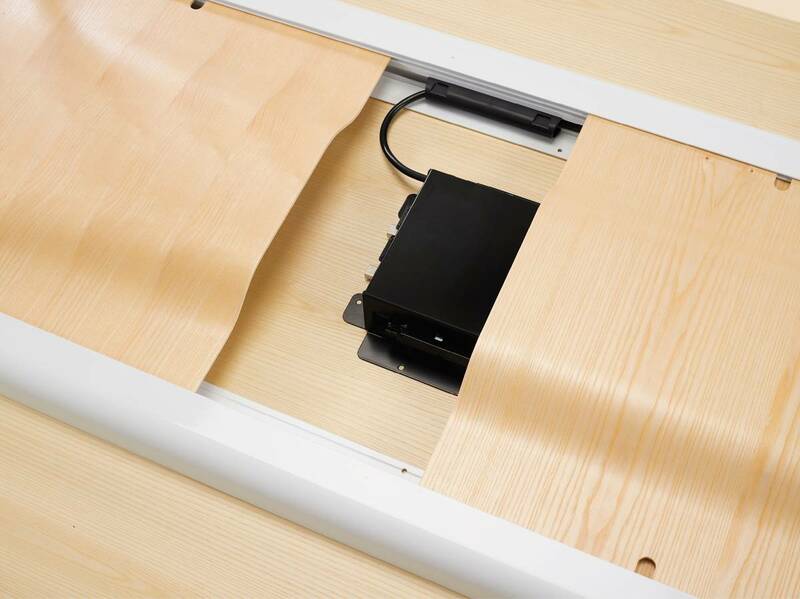 Cable tracks are supplied with the undercarriage to assist in managing cables under the table. 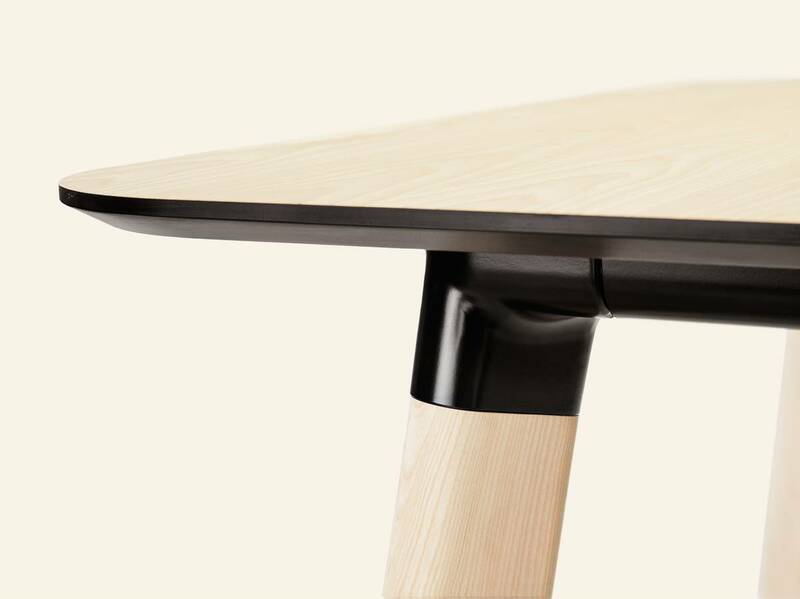 The undercarriage sliding panel system is a unique feature of Diva and has not been seen in conference tables before. - Worktops are finished in Melamine Laminex. Standard on 25mm board, 150mm radius corners, with square edge or shark-nose edge. 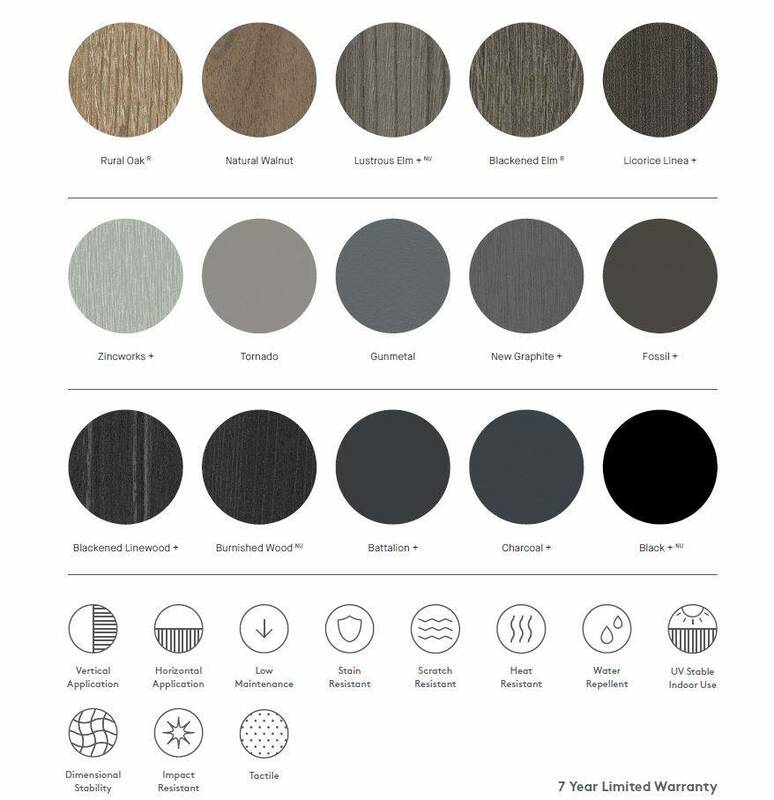 Endless colour choices from the Laminex Commercial Range, see above. 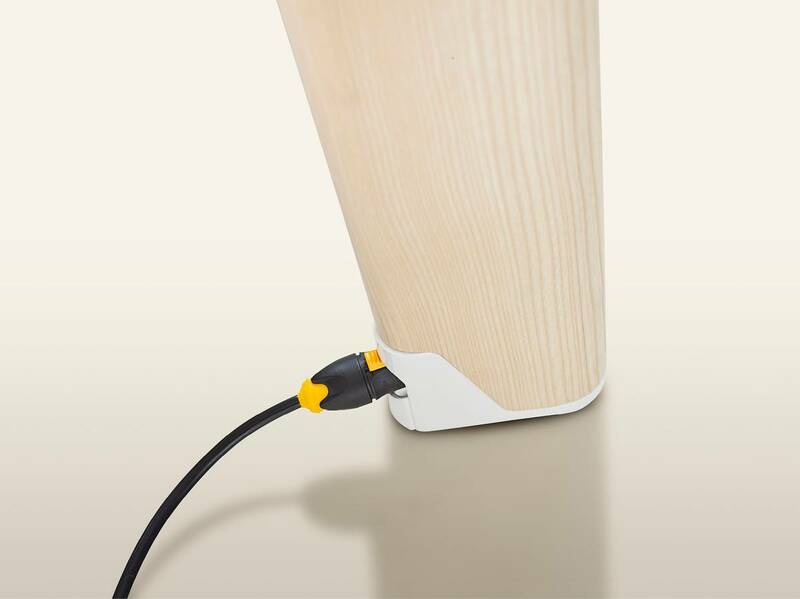 - Optional Power in Legs: Diva offers power to be brought from the floor (a floor-box or wall socket) to the Neutrik outlet that is purpose fitted to the heel of the leg. Power leads can be easily and safely plugged and un-plugged by any untrained office worker to bring power to the table. 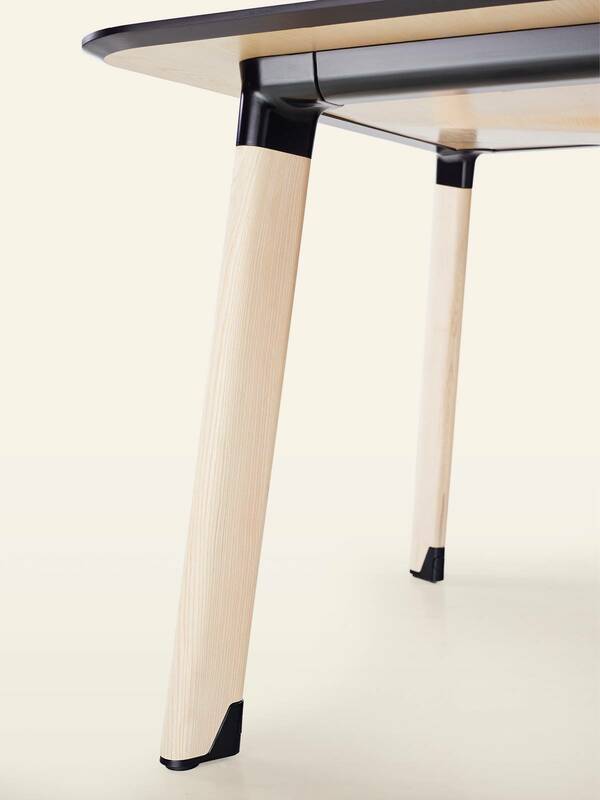 The leg can be fitted with a separate power lead which runs inside the leg (totally concealed) up to the underside of the table top. Using another Neutrik connector at the top of the leg assembly, a power lead can be connected from the top of leg Neutrik plug to the newly designed “flat mount” Seamless Powerbox. Power leads are connected to CMS adapters for connecting to the CMS power sockets. This unique cable management system produces an aesthetically clean appearance and allows maximum user friendliness in accessing data and power cables.